Niall Horan fans, get ready to catch him on the Flicker tour with his very first solo album!! 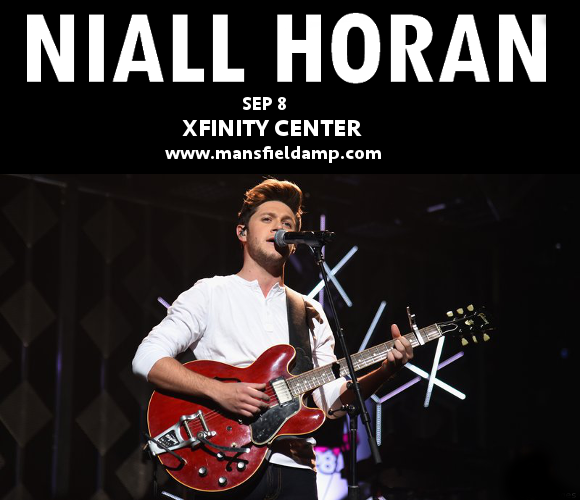 The Xfinity Center is proud to play host on Saturday 8th September 2018 – joined by the phenomenally talented country artist Maren Morris as support! Get your tickets today to guarantee your place as these tickets sure aren’t going to stick around long!! Gaining worldwide attention when he first auditioned for British TV singing competition The X Factor and placed into a group – One Direction – with four other contestants, Niall Horan’s career lived on well past the show with One Direction. With several sold-out tours and bestselling albums, they evolved from TV sensation into one of the most popular boy bands in the world!! After many successful years together, the band members are now taking the time to pursue solo careers. Niall Horan’s debut solo album is a more stripped-back effort than his work with One Direction – the singer said that the record is inspired largely by classic rock artists including The Eagles and Fleetwood Mac. "Whenever I would pick up a guitar, I would always naturally play chords like that, and finger pick a lot and play that folky kind of style,” he explained. Niall Horan and Maren Morris first collaborated on the track “Seeing Blind,” from Horan’s stunning debut. Recently, they reprised the song with a gorgeous acoustic cover. Check it out below – but don’t wait about too long to get tickets, they’re expected to disappear FAST! !